Jeremy Zag’s production company ZAG has joined forces with Chris Columbus‘ 1492 Pictures and Ocean Blue Entertainment to finance and produce “12/24,” a live-action/animation hybrid film written by Matt Lieberman that is based on an original idea from David Guggenheim (“Safe House”), it was announced Monday. Guggenheim will produce with Madhouse Entertainment, while Columbus, Michael Barnathan and Mark Radcliffe will produce for 1492 Pictures. When some old home video is discovered in “12/24,” two brothers set out to prove that Santa Claus is real, setting an elaborate trap on Christmas Eve. 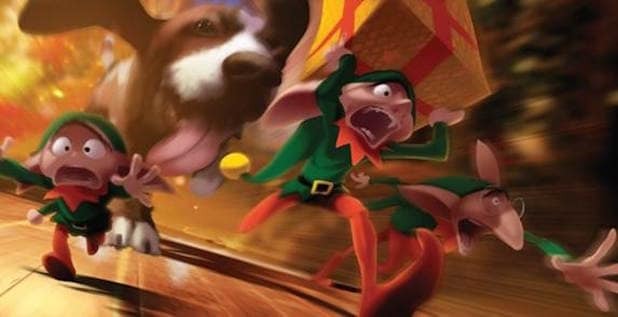 Santa ends up incapacitated by their trap and with the help of Santa’s magical elves, the brothers end up on an epic adventure to save Christmas. Operated by Tracy Price and Bill Andrews, Ocean Blue Entertainment partnered with 1492 Pictures to finance and produce films together under a long-term agreement. The first film under their collective banner is “The Young Messiah,” the story of 7 -year-old Jesus discovering his true identity and profound destiny. Cyrus Nowrasteh directed the film, which will be released in the U.S. by Focus Features on March 11, 2016. Next up will be “I Kill Giants” and “The Battle of New Orleans” with plans to begin shooting in the summer. ZAG is a private firm specializing in kids and family entertainment, founded by Jeremy Zag. Its multiple divisions include production companies and animation studios — located in Europe, the United States and Asia — that develop TV series, movies and games. Its animated TV division, Zagtoon, was created in 2009 in partnership with Jacqueline Tordjman and has since produced 200 half-­hours of original content, which have been sold to major broadcasters in over 120 territories. Zagtoon series’ benefit from the involvement of worldwide Master Toy partners. Other divisions include ZAG Animation Studios (partnership with Chris Columbus and Michael Barnathan), ZAG Films, ZAG Digital and ZAG Records.